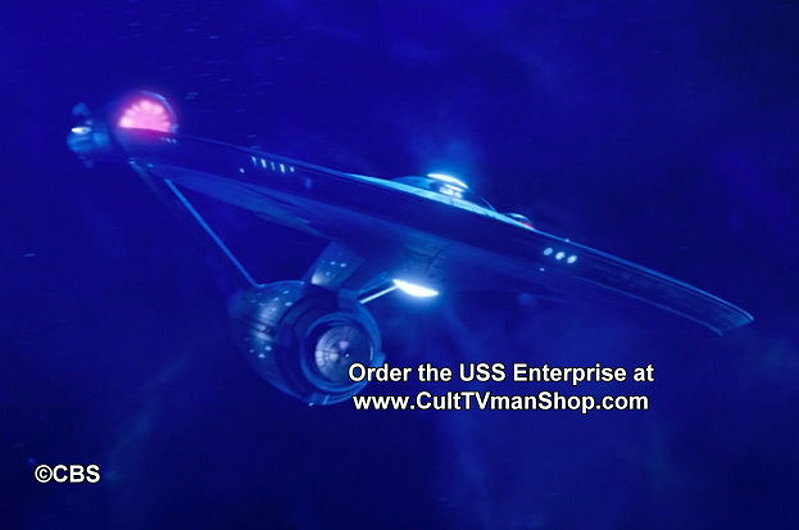 Star Trek models, Galactica models, Monster models, science fiction models and more at CultTVman's Hobby Shop! 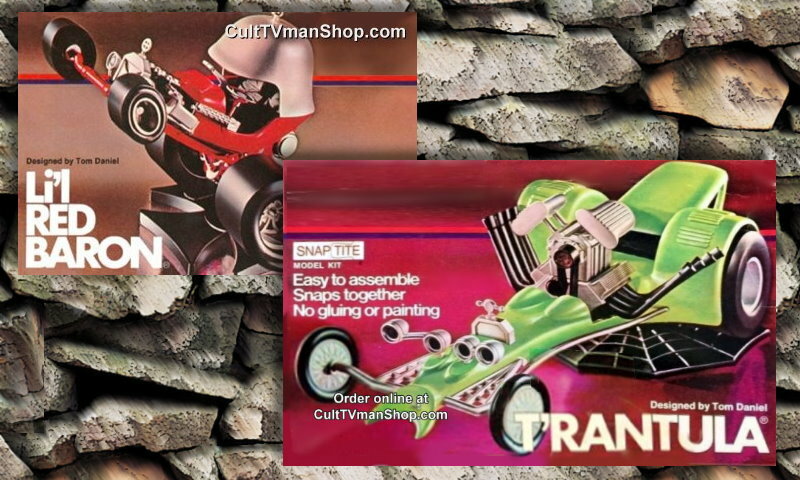 Welcome to the CultTVman Hobbyshop. 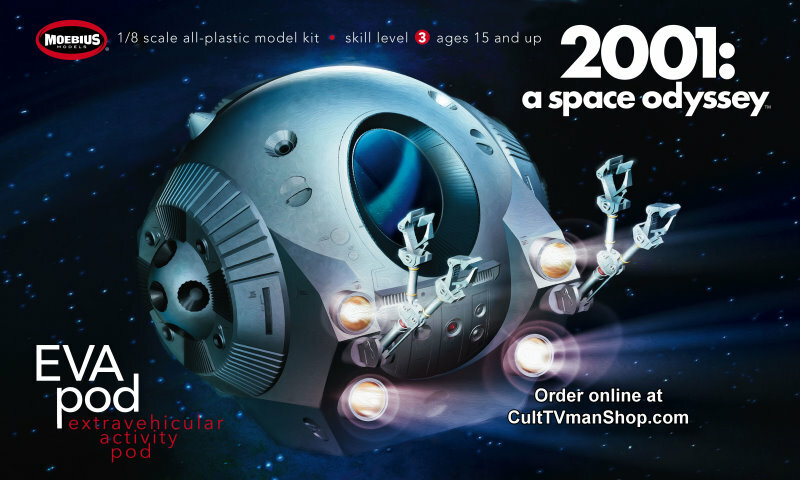 We specialize in Science Fiction models, Spaceships and Monster model kits. We have current releases from Moebius, Pegasus, Altantis, AMT, Polar Lights, and more. 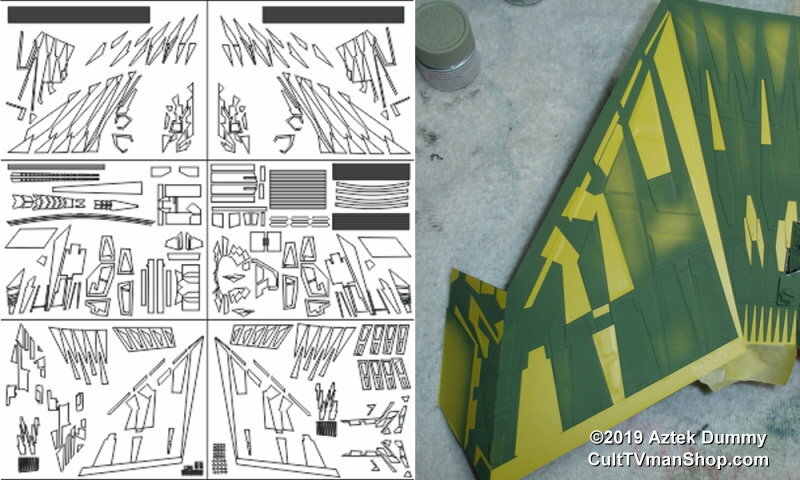 We also feature decals, light kits, accessory parts, magazines, and more. This is the place to buy Star Trek models, Lost in Space, Battlestar Galactica, Star Wars, 2001: A Space Odyssey, Space:1999 models and other favorites. Wholesale available through Doll & Hobby GA! April 19: Spring Cleaning Resin Sale!!! The Wicked Witch, Schlitze, Batman, Superman, and more!!!! We're discounting many resin kits this weekend. Offer good through Monday or when we run out of kits. 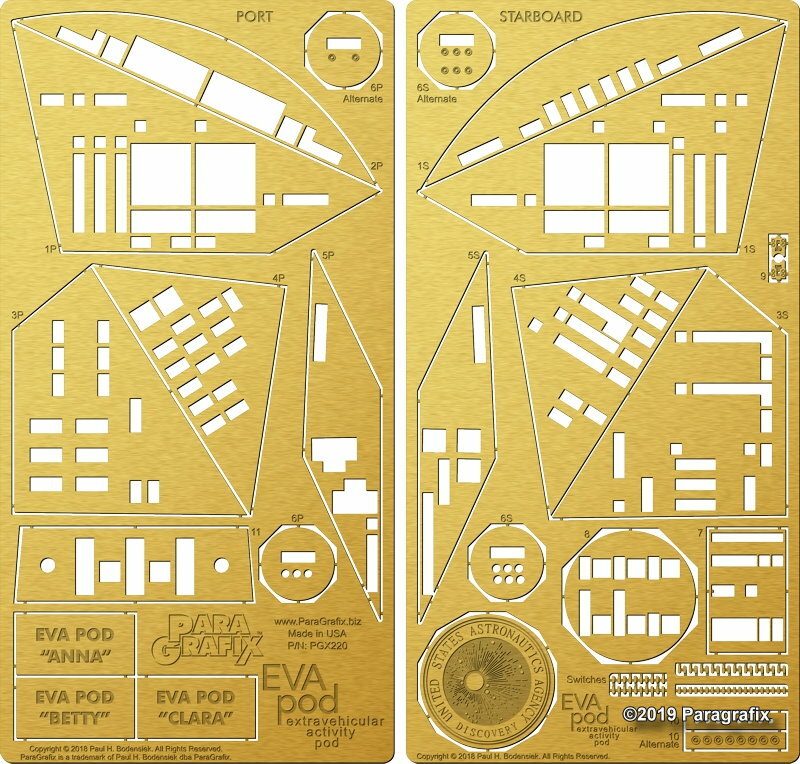 April 16: The EVA Pod photo etch from Paragrafix has arrived! 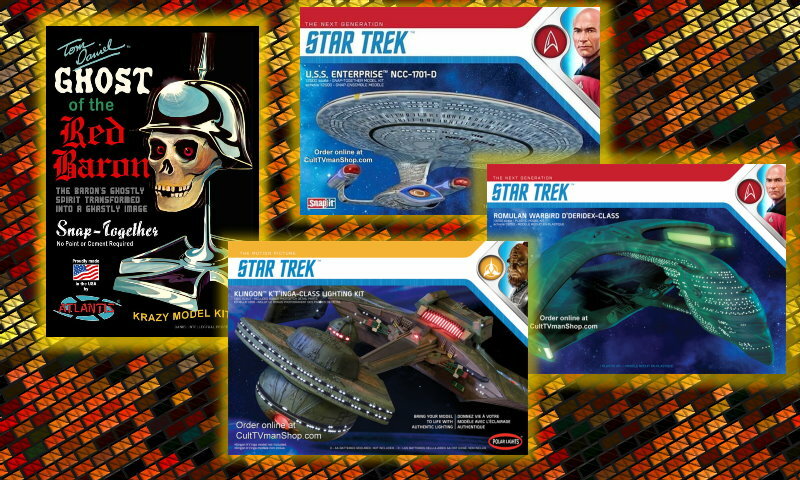 April 12: We have a few vintage AMT Trek kits, including the original Adversary Set. Sale good through Monday or until we run out of kits. Plus we have other vintage AMT kits on sale. April 11: Everything is Go! has arrived. 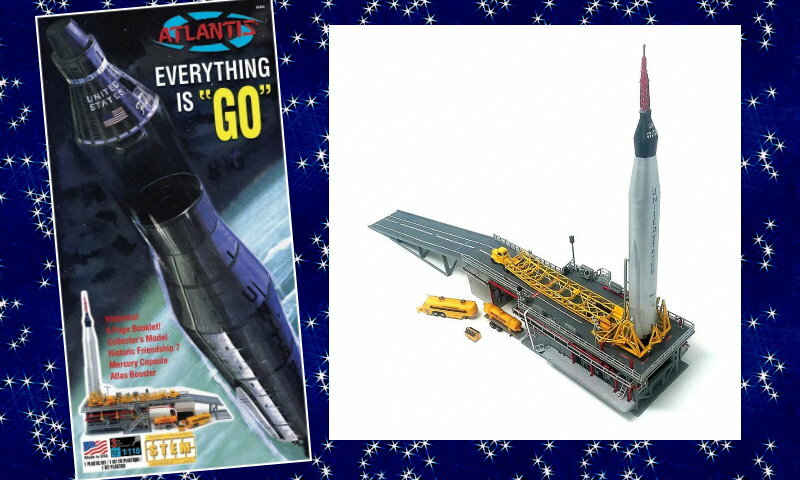 This is the classic Mercury Atlas rocket from Revell, reissued by Atlantis. Plus we have new paint masks from Aztek Dummy for the EVA Pod and Kelvin kits. 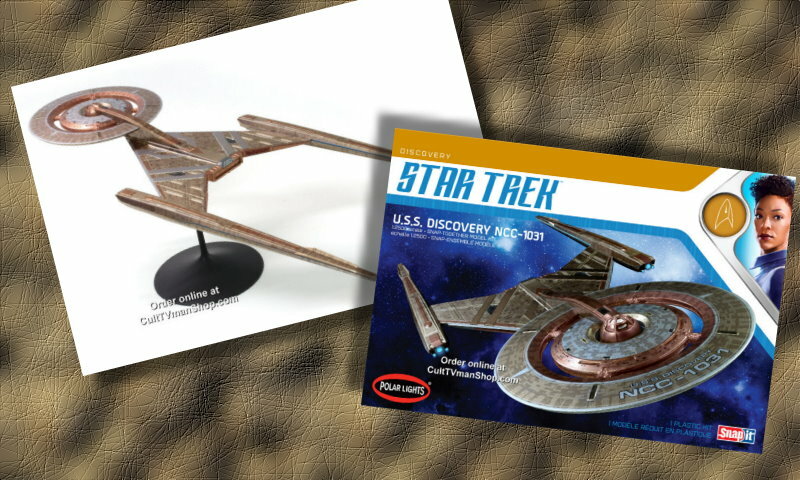 We're expecting the USS Discovery around the beginning of May, along with a restock on the 1:350 K't'inga. And lots of restocks from Aztek Dummy, Paragrafix, Yay Monsters, Moebius, Round 2, Atlantis, JTGraphics, Bandai, and more! Plus some more vintage Trek kits. See the Restocks Page. Wonderfest is coming fast! We hope to see you there in June. Visit the Wonderfest website for details! April 9: Round 2 has officially announced their 1:2500 USS Discovery kit. We have it up for preorder. We are still taking preorders for the Discovery and Shenzhou. 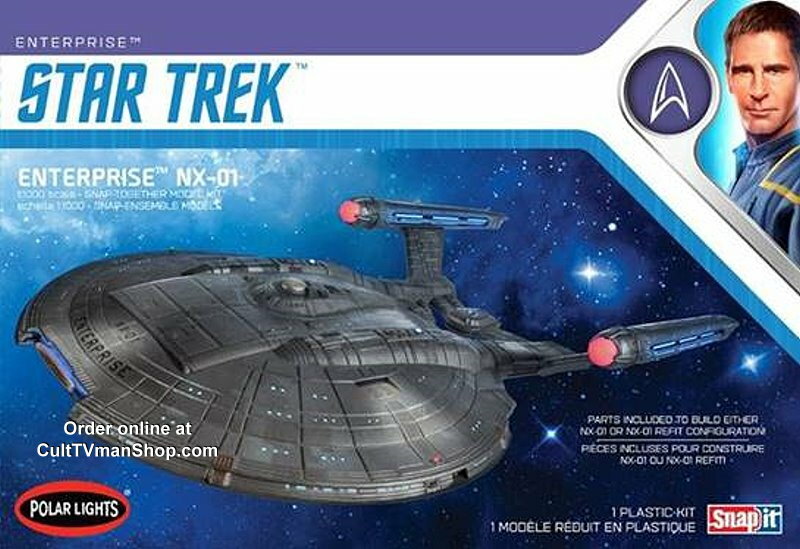 The USS Discovery kit should be arriving in early May! April 2: The USS Kelvin is here! 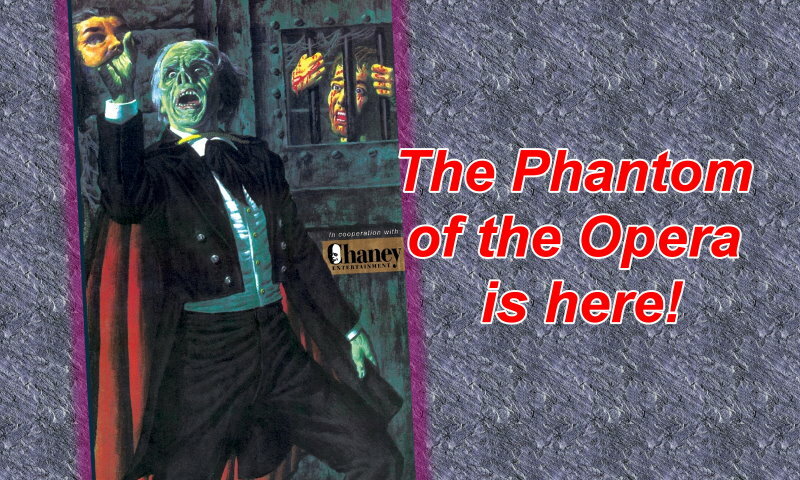 March 27: The Phantom of the Opera has arrived! This is a reissue of the original Aurora kit from our friends at Atlantis! Payment notices for preorders will be going out today! March 26: Atlantis has announced another reissue coming soon. Tom Daniel's Li'l T'rantula is a 1:32 scale snap kit and a companion to the Li'l Red Baron. Both kits should be coming soon. New box art will be available soon. New lighting products for the EVA Pod from Yay Monsters are in stock. We also have restocks from TenaControls, Madman Lighting, Aztek Dummy, Yay Monsters, Moebius Models, Pegasus Hobbies, and Horizon. See the Restocks Page. March 21: Lots of new arrivals today from Round 2. If you have preorders, please take a moment to pay for your order. We'll have the Aurora Phantom of the Opera next week. I've added some vintage Star Trek kits. Some hard to find kits here. See the full list on the Restocks Page. 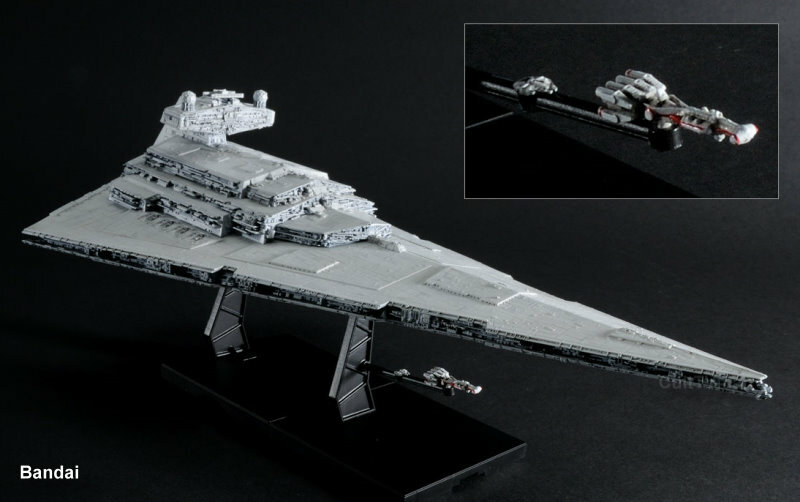 And we have the upcoming Star Destroyer kits from Bandai up for preorder. There will be a deluxe lighted version, and a standard version. 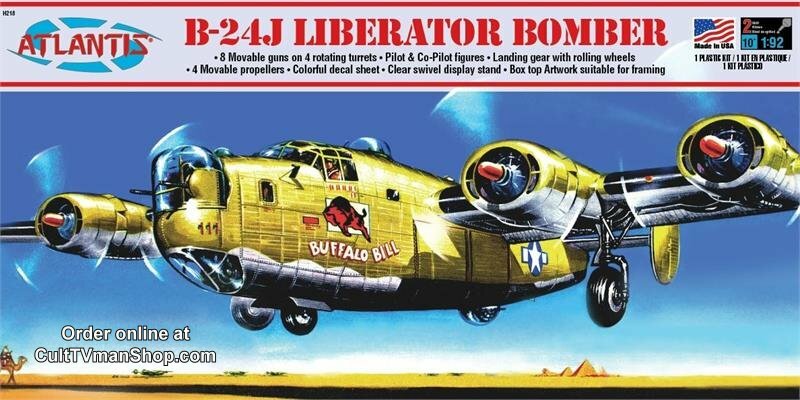 From Atlantis, we have the reissued B-24J Buffalo Bill Bomber! March 1: The 2001 EVA Pod has arrived! It's a big, beautiful kit! We are working to send out all the orders as fast as we can. Most will be shipped by Monday. February 24: New reading material! 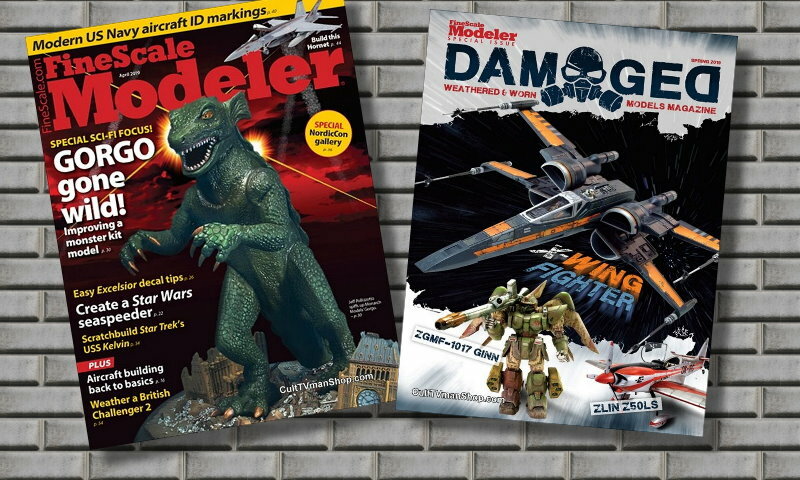 A special SF issue of Fine Scale Modeler with Gorgo, Star Trek, Star Wars and more. And the new Damaged includes Poe's X-Wing, a Zombie diorama, Gundams and more. Amazing Figure Modeler #66 - Star Wars issue! Fine Scale Modeler December 2018 - Wonder Woman and more! Amazing Figure Modeler #65 - Godzilla, Nosferatu, Dragons and more! February 21: Just arrived in the CultTVman Hobbyshop. Also see the Restocks Page. 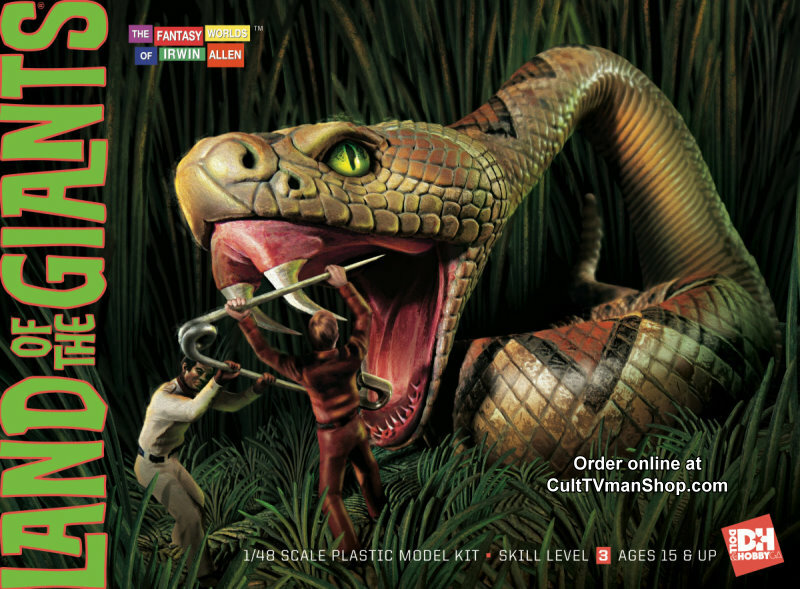 February 13: Coming from Doll and Hobby GA, the Land of the Giants Snake! 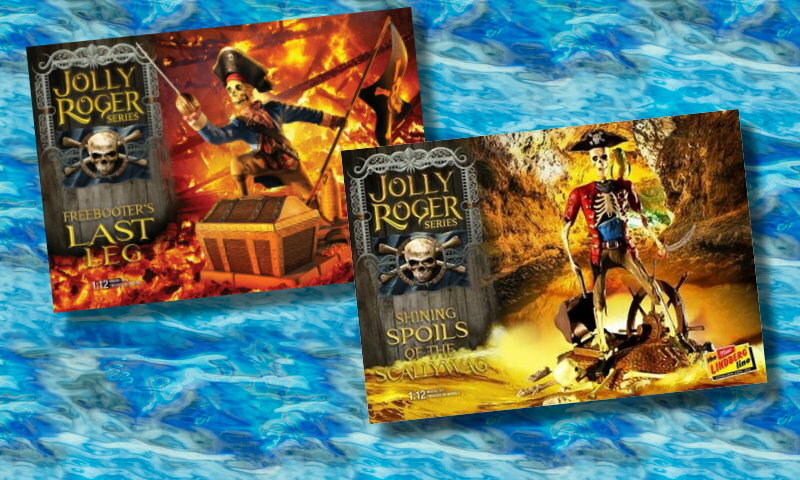 This reissue features all new box art, and a display background to show off your kit. Coming mid year. This is the first of a series coming from D&H. 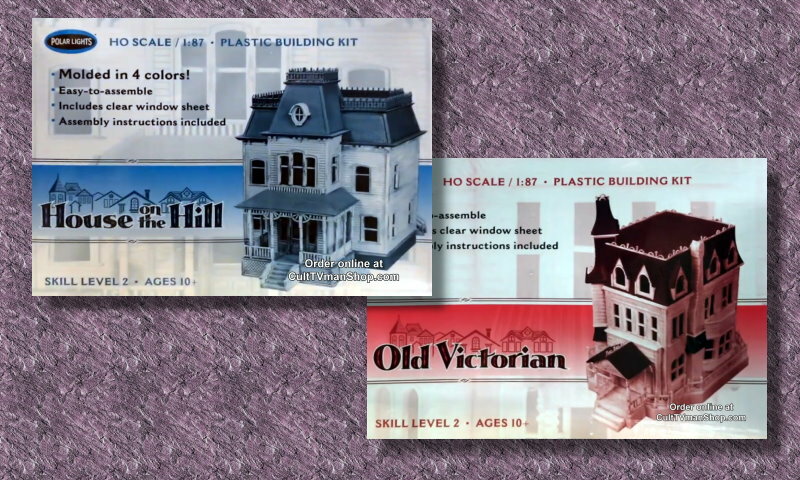 February 7: Round 2 has announced two more kits coming this summer from Polar Lights! The USS Shenzhou from Star Trek Discovery and a reissue of the classic Flying Saucer. January 30: Aztek Dummy paint masks for the 1:350 Ktinga have arrived! 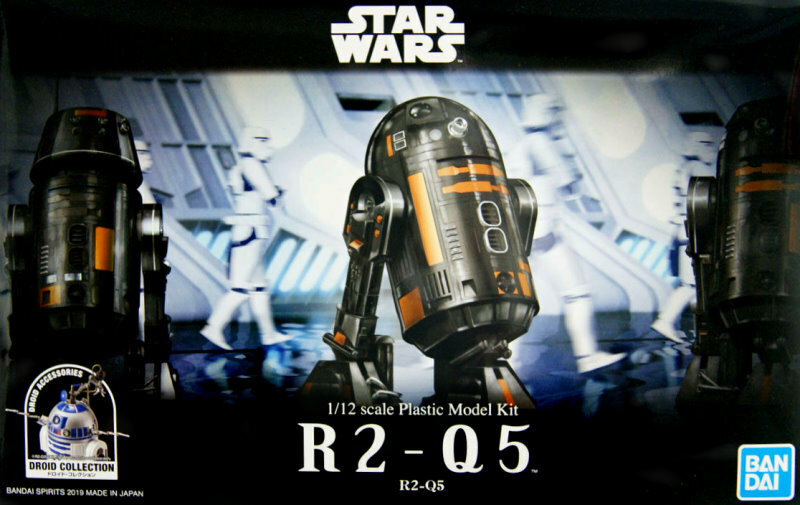 January 25: New Star Wars kits! The much anticipated Rebel Blockade Runner has arrived! We also have the big 1:6 scale Shadow Stormtrooper. And surprise! We have a kit we didn't expect. The 1:12 scale Shadow Stormtrooper wasn't listed by Bandai previously, but we have it now! We also have a Dragonball Z Gokou kit and restocks from Bandai and Paragrafix and a few others. See the Restocks Page. 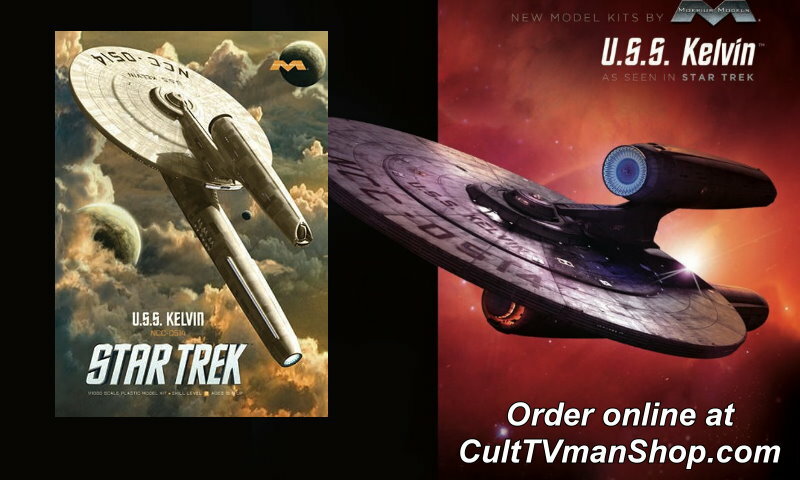 January 23: We now have USS Discovery box art and kit pictures! This will be out in late spring. 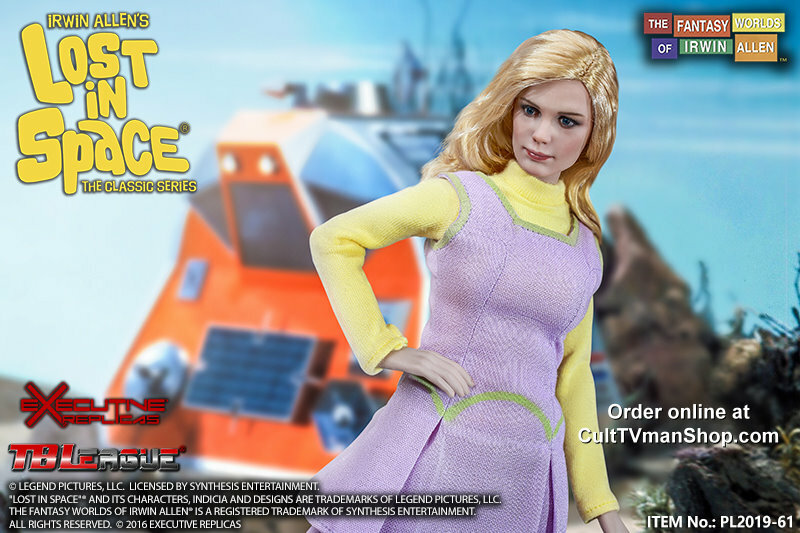 January 14: Annoucning the new Judy Robinson premium action figure from Executive Replicas. This 1:6 scale poseable action figure features Judy's third season uniform, a laser pistol, alternate hands and a stand. We are requiring a $50 non-refundable deposit on this item. 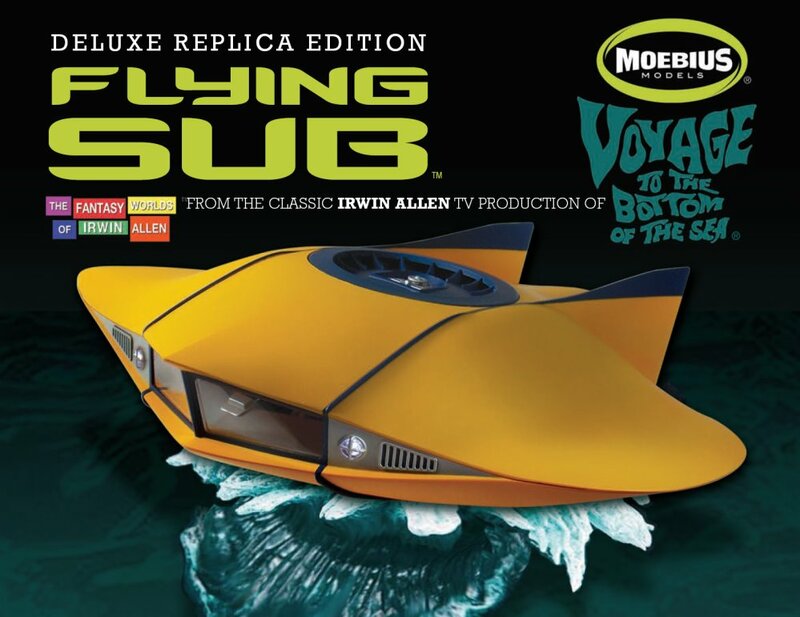 December 11: The Deluxe Metal Flying Sub will be here this week and we are taking payment if you wish to purchase this wonderful display model. It features a metal hull, resin base, internal lighting and effects and sounds. This is an extremely limited, premium display model. If you recall how quickly the metal Jupiter 2 sold out and became impossible to get. Don't miss this opportunity! We have an updated phone number: 770-797-5533. Our office hours are Monday through Friday, 10AM to 5PM. We may not always be able to answer the phone, so leave a message, or email if you need to contact us. Our new warehouse is located at 248 E. Crogan St, Suite 202, Lawrenceville GA 30046. It's a warehouse, not a hobby shop!